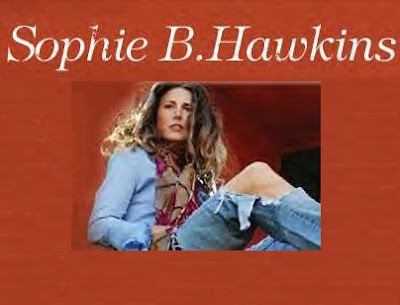 Sophie B. Hawkins scored huge hits in the 1990's with her songs, Damn I Wish I Was Your Lover, Right Beside You, and As I Lay Me Down. Her debut album, Tongues and Tails, earned her a Grammy nomination for Best New Artist in 1993. Recently, Hawkins was asked her opinion as to why it is, in today's society, it's still difficult for female singers to come out publicly as lesbian. For me, the issues were more internal and not about the media. It was also right there in the lyrics of my song all over the radio [“I lay by the ocean making love to her with visions clear”]. I always heard, “she’s not gay enough.” It isn’t like are you Democrat or Republican?, but that’s what people want, one or the other [straight or gay]. When "Damn!" first came out, I’d had a long-term relationship with a man, but was currently with a woman [so I identified as bisexual]. Now I have been with a woman for 15 years, so can say I am a lesbian and committed. What people need to realize is that sexuality and spirituality are connected; we don’t change, we expand. If I’d never been in love with a woman, I wouldn’t be such a good songwriter. It opened up my deeper heart. When we can all get to the point of love - in other words, if we could all come out, out of a place of love - we would be protected and the world would be healed. Hawkins performs "As I Lay Me Down" at The Anthology in San Diego (May 2010).